Last week the Illinois Environmental Protection Agency released a short schedule of one-day Household Hazardous Waste Collection events for September and October. While McLean County is not on the list and will not have a HHW collection this fall, all Illinois residents with residentially-generated Household Hazardous Wastes (not waste from any business or organization) are welcome to attend the HHW collection events in the schedule that follows. These events are free of charge, funded by the State of Illinois. While regular state-funded HHW collections used to be the norm, these are infrequent and irregular nowadays. The EAC encourages local residents to take advantage of these collection events. September 29, 2018 – Danville Area Community College, 2000 E. Main Street, Danville, Illinois 61832. Cosponsored by Vermilion County Health Department. October 6, 2018 – Fayette County Health Department, 509 W. Edwards Street, Vandalia, Illinois 62471. Cosponsored by Fayette County Health Department. October 13, 2018 – Park and Ride Parking Lot, Station Road (north of Mill Road), Oswego, Illinois. Cosponsored by Fox Metro Water Reclamation District. October 27, 2018 – Progress City USA Convention Center, E. Mound Road, Decatur, Illinois 62521. Cosponsored by Macon County Environmental Management Department. Decatur event only, must pre-register at www.MaconGreen.com or by calling (217) 425-4505. With support from local government funding and private donations to the McLean County HHW Fund, the EAC normally has financial resources to provide for a HHW collection every other year. The next McLean County HHW collection will likely take place in fall of 2019. However, if other opportunities for McLean County residents emerge prior to then, the EAC will notify residents subscribed to the HHW Collection Email List. The other alternative for proper HHW disposal includes the permanent HHW facilities open to all Illinois residents to dispose of residentially-generated household hazardous wastes. The Ecology Action Center has launched a renewed fundraising effort to provide for a fall 2019 McLean County Household Hazardous Waste Collection. While local government partners including the City of Bloomington, Town of Normal, and McLean County are providing some of the funding required for the anticipated Fall 2019 HHW collection, the remaining funding will need to come from private contributions and sponsorships from the local community. Participation at this collection will be limited to McLean County residents due to the local government funding. Illinois law mandates that only residential Household Hazardous Waste may be collected; business or industrial waste cannot be accepted. Donations are now being accepted online. HHW is any material or chemical that is toxic, flammable, corrosive, explosive, or reactive. McLean County residents once again will have the opportunity to safely dispose of pesticides, oil-based paints, mercury thermometers, old gasoline, cleaning products, insecticides, lawn chemicals, and other hazardous materials. When improperly tossed in the trash, dumped down a drain, or illegally discarded elsewhere, these waste products pollute our water supplies, compromise our drinking water, and threaten our health. In the past, state-sponsored HHW collections were a legal, safe and reliable way of disposing of HHW in Illinois. Mclean County benefited from annual collection events from 2003 to 2007, with most of the costs paid by the IEPA. Unfortunately, budget cutbacks resulted in the loss of funding for this program for five years. In 2012, EAC decided that the community needed to take matters into its own hands and spearheaded a successful public/private partnership to raise the funds necessary for a McLean County HHW collection. In 2013, EAC received funding from the IEPA for a HHW collection. The significant turnout at past locally-funded HHW events showed that McLean County residents need them on a more regular basis. But a one-day HHW collection is expensive and state funding is no longer dependable on a consistent basis. 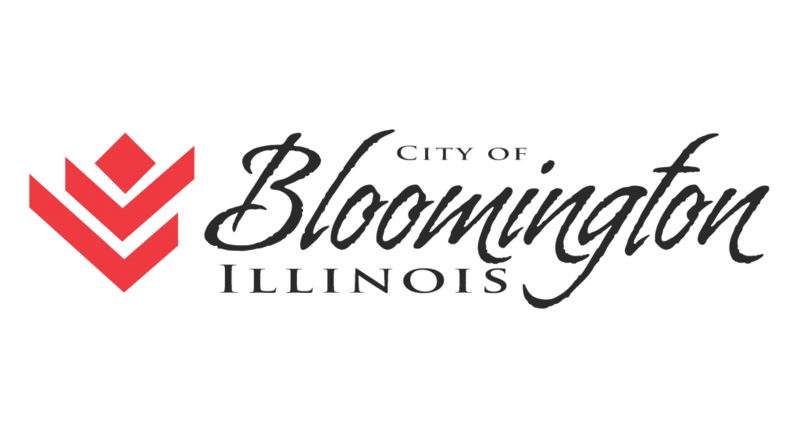 Under a multi-year agreement, the City of Bloomington, the Town of Normal, and McLean County will provide a significant portion of the funding for the HHW collection in 2019. Private contributions are necessary for the remaining portion, so the HHW collection will be possible only with strong community support. The EAC is now soliciting donations to the McLean County HHW Fund for the Fall 2019 HHW collection. The one-day event will cost an estimated $175,000. The EAC is a registered 501(c)(3) non-profit organization; contributions to the HHW McLean Fund are tax-deductible to the extent allowable by law. Donations may made online or by mail.